We only deliver the highest quality label materials, inks and finishes to ensure you get the best labels possible. 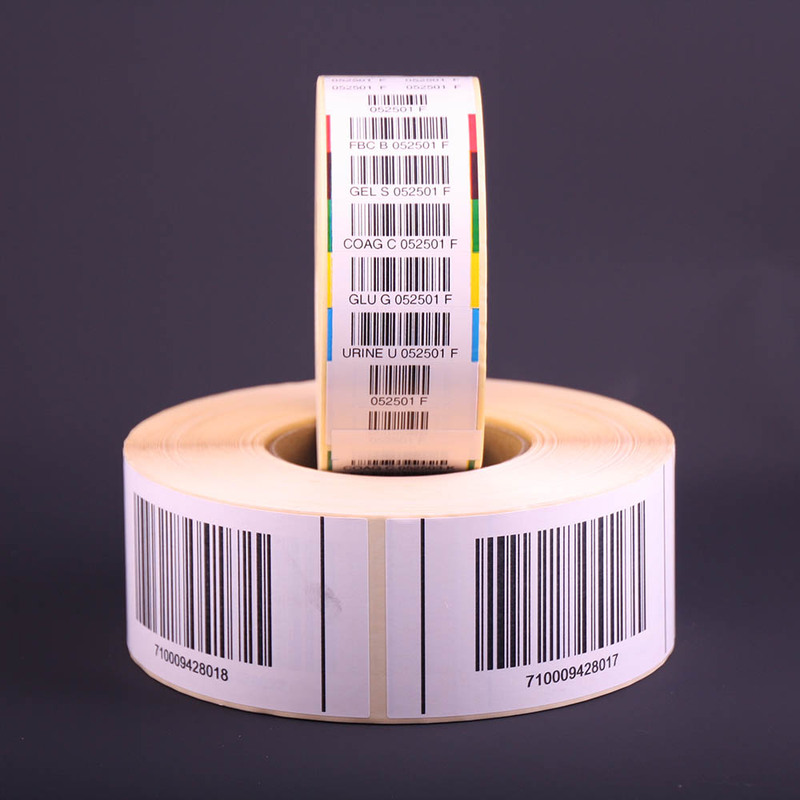 Barcode digits are unique product identifiers that allow manufacturers and retailers to quickly communicate product information between each other and internal departments. We use only the highest quality label materials, inks and finishes to ensure you get the best labels possible so they always scan. We also check to make sure there are no duplicates if they are not wanted. 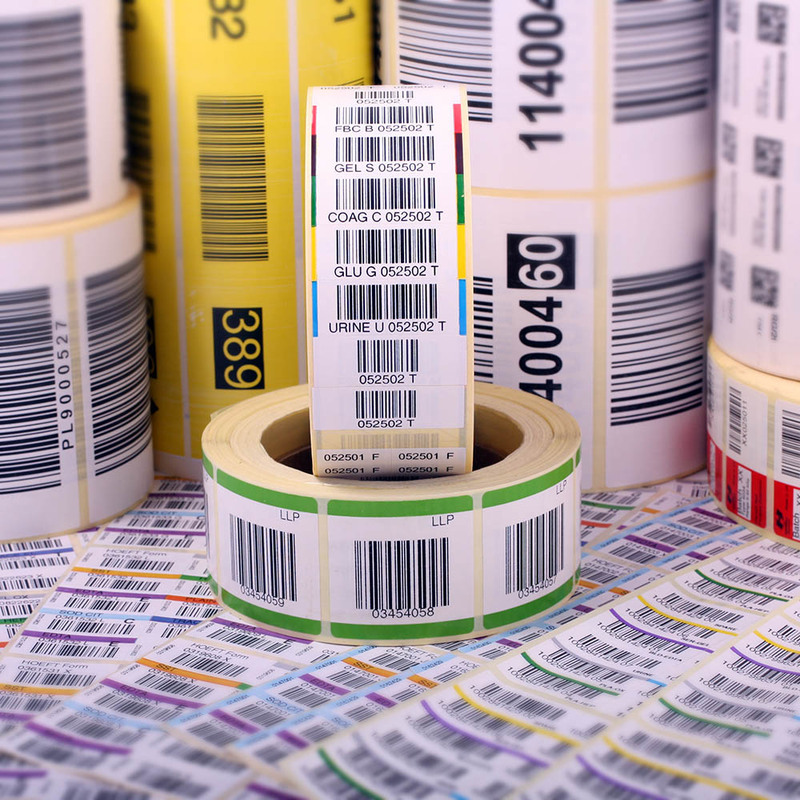 When selecting colours for barcode labels, it’s essential that you select colours that are compatible with scanners. One reason why barcodes can be hard to scan is colour, or more specifically, the lack of contrast in colours. If there isn’t enough contrast between the background and bar colours, barcode scanners will have difficulty in reading it. The combination of a white background and black barcode is the most recommended colour combination. 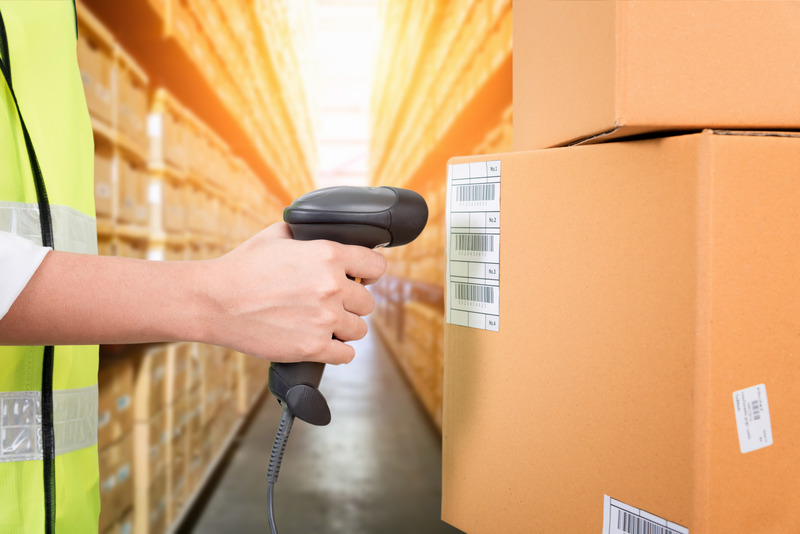 Scanners read barcodes best when the background reflects light and the bars don’t reflect any. Scanners have a hard time picking up yellow and red colours because they can’t “see” those colours, but black and blue based colours are much easier for a scanner to pick up. It’s important to use light colours for the background and dark ones for the barcode. Our highly specialised presses incorporate conventional flexographic printing with leading edge high speed toner based digital printing equipment, enabling us to add sequential numbering and barcodes in one pass. 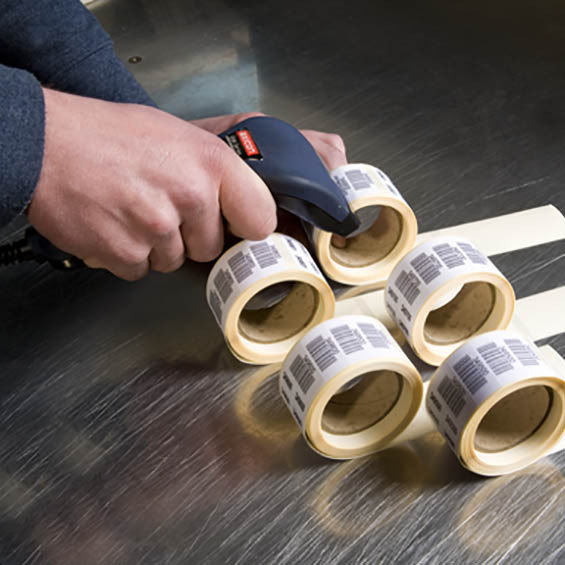 Our versatile manufacturing equipment allows us to offer complex self adhesive label constructions and tags presented on roll, in sheets, in pads, or in fan-folded packs. 100% barcode verification – it’s important! 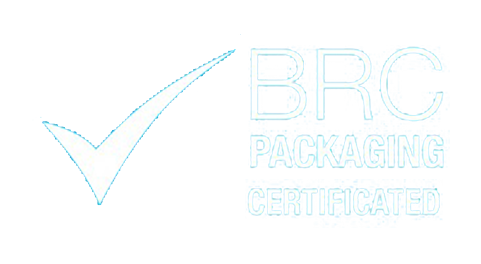 We implement strict quality control measures throughout its process to ensure all the barcodes we produce meet the exacting specifications laid out in the ANSI standard. Our presses incorporate the latest in-line verification technology to ensure every single barcode we produce is verified to ensure it will read first time – every time. All our scanning equipment has been independently tested and conforms to ISO/IEC15426-1/15426-2. Our client base ranges from local SMEs to worldwide Blue-chip organisations, all of which have come to depend on our high levels of commitment to quality and customer service over many years. 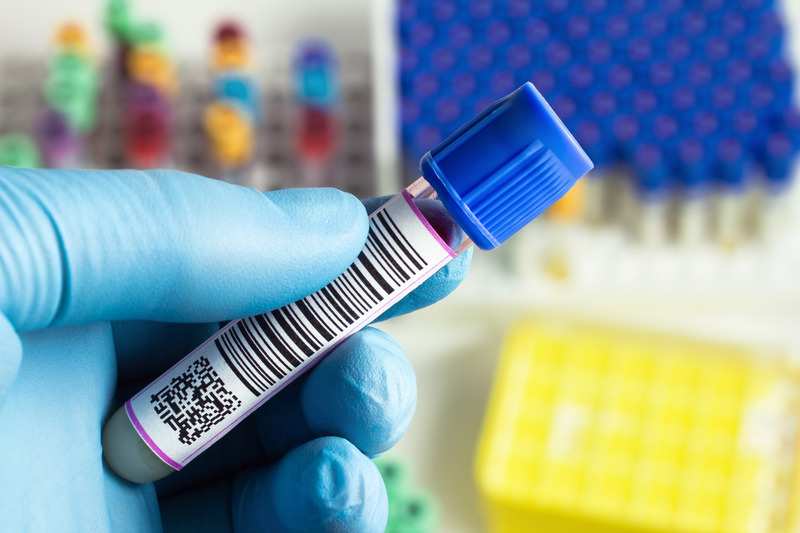 We supply a vast range of labels including barcode stickers, tickets and tags into many time sensitive industries such as Pathology & Biochemistry laboratories, Pharmaceutical, Logistics, Packaging and Document Storage, and we understand that your label supply is critical to your business. We aim to achieve a 100% on time delivery record with all of our customers, and we’re proud of our record in achieving it.